Deer food plots for fall plantings need to be planted soon depending on your intended crop. 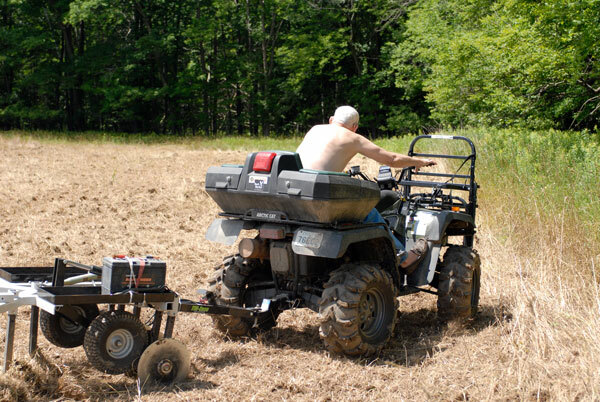 While it is a tad late for a spring plot all that rainy weather delayed planting this Do It Yourself Deer Food Plot. It will work fine for the fall and beyond. We planted a few rows of Sweet Success on the north side with Upland Game around the perimeter to give this DIY food plot some cover. I also had some sugar beet and turnip seeds to plant along the gobbler grass (Upland Game) edge for late season hunting. The Sweet Success will get the deer feeding within weeks and the other crops will mature later in the fall. I emptied a bag of Blaze Mineral onto a rotted stump to keep the deer curious about those new aromas. The Kunz Till Ease made quick work of this new food plot after round up was applied last week. Dead grass and weeds were cut down then tilled. Got my tree picked out for this location on the north side of the plot. 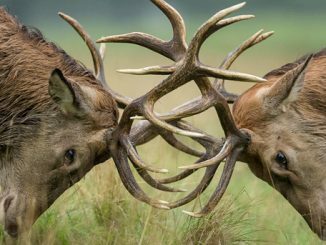 A south west west or north west wind will do nicely for bow hunting.